The mountain goat is a large hoofed mammal native to North America. A subalpine to alpine species, it is a sure-footed climber commonly seen on cliffs and ice. The mountain goat is an even-toed ungulate of the Bovidae family that includes 32 other species including ibex, antelope, sheep, chamois, and the muskox. The mountain goat's feet are well-suited for climbing steep, rocky slopes with inner pads that provide traction and cloven hooves that can spread apart. The tips of their feet have sharp dewclaws that help keep them from slipping. British Columbia holds some of the highest population of Mountain Goats in North America and is closely monitored and regulated by the British Columbia government. Each management unit and guiding territory is allotted a limited number of tags for Mountain Goat, so advanced booking for this first class hunt is required. 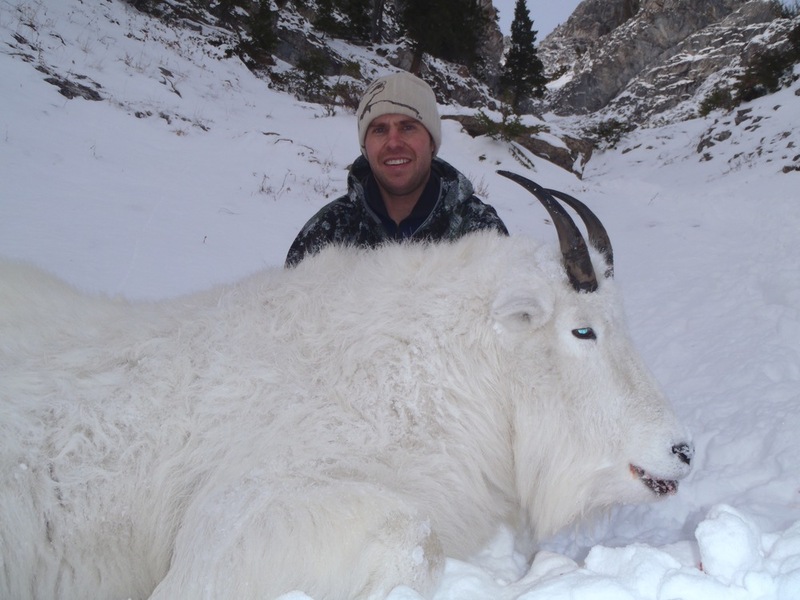 We focus on harvesting big mature Billies that can score high in the record books and is our highest success hunt thanks to our experienced guides and great number of goats herds. The best time to hunt these true trophy animals is mid October to mid November as their hides are at their finest; beautiful, thick and white. This is a great combination hunt with Elk and/or Mule Deer in the Southern B.C guide area as big bulls and bucks are often spotted when glassing alpine basins and rocky ridges for goats. Be prepared to hike several hours into high elevation basins and walking on rocky ridges as this is a very physical hunt in steep mountainous terrain. 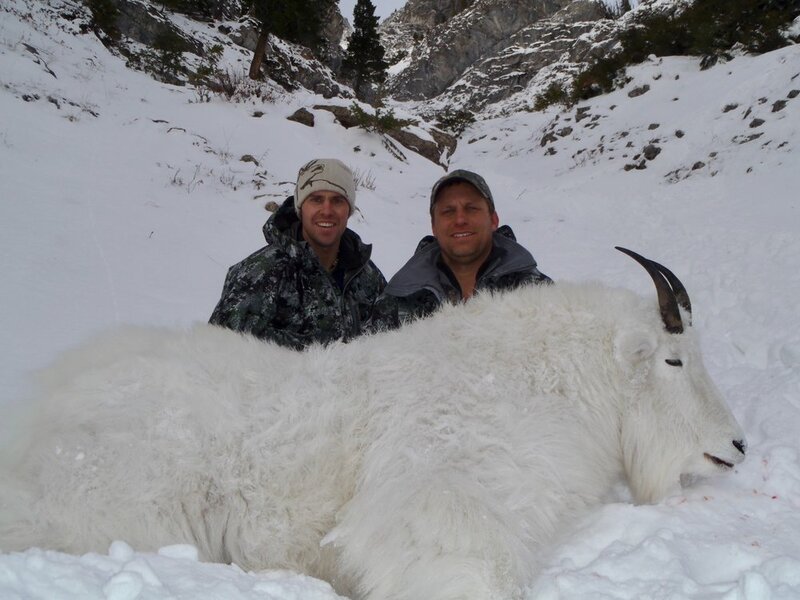 The Mountain Goat is a beautiful majestic big game trophy that should be high on any big game hunter's list and are well known for their rugged living, surviving and thriving in some of the harshest mountain environments and capably defending themselves against top predators such as the Grizzly Bear.